Do you have a domain for a website or blog? But do you still have a normal email address? Would you like to get business email address for the domain? So let's talk about it in this article today. Do you have a domain for a website or blog? But do you still have a normal email address? Would you like to get business email address for the domain? So let's talk about it in this article today.If you are create a business email, you will have to pay an additional amount.But this method we say today means that you can set up a business email address without any money.This can be done in a few easy steps. 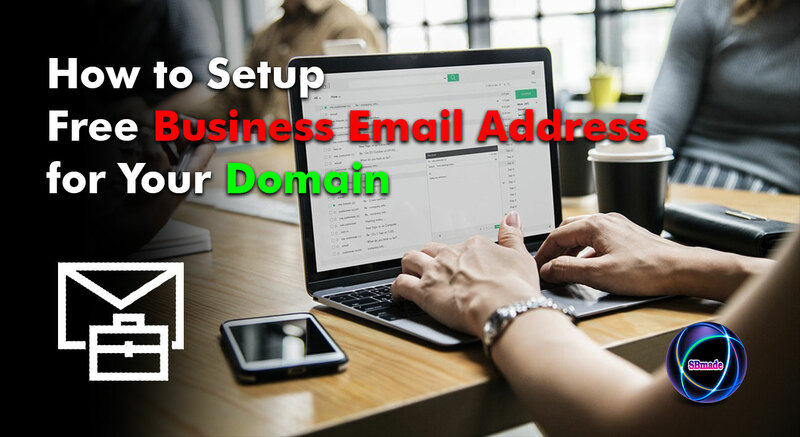 However, this method allows you to set up the business mail as you like.For example, yourname@yourdomain.com.The special feature of this system is, If you like, you can also set up a business mail 1000.We confirm that we can use it without any problems.We know from experience that it works well.So if so, let's see how this is done.This is done under several steps. 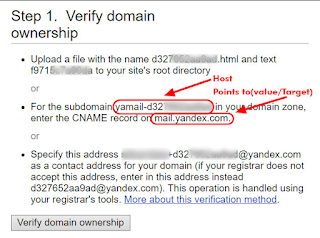 First, you must go to yandex domains add page. Click the login link at the top right and register. Next, add the domain you have, for example, if you have www.example.com, you should add example.com. Then click Connect domain button. Next you will see a new web page and follow the steps below. The screenshot of the mentioned above new web page is shown below. Step 1 is Verify domain ownership. The next step is to visit your domain service provider(Godaddy, Namecheap .etc) and choose your domain to create new CNAME record. Then add the Host and Points to(value/Target) the CNAME record as shown in the following screenshot. Finally click on the Verify domain ownership button.Verification can take several minutes. After you confirm ownership of your domain, you will need to change the MX records that go along with it.This is Steps 2. Finally, click Verify MX records button. After completing the above steps, you can see below. If you have corrected the above steps, the green text can be seen as Domain Connected. Next you need to enter the password for that business mail and click Add button. First, click Login to mailbox Button and Log in with your new email and password. Then enter information such as your Name, Birthday, Gender and Click the Complete registration button. Now you are logged in to your new email, and from now on, you can normally use. Now you know how to Create Email Address for Your Domain.For your convenience, we explain in several parts of the above.If you follow above steps correctly, you can set up the email without any problems.If you can not understand the above steps then you can watch the video below. You will also be able to forward these emails to your other email.You can also provide this email as a default email in gmail.It can use this new email anywhere for all your work.Also read How to Forwarding Yandex Emails To Another Email Address. So you know about How to Setup Free Business Email Address for Your Domain, Hope you like the post, don’t forget to share it with your friends and leave a comment below if you are facing any problem at any step in the method discussed above.Thank you.